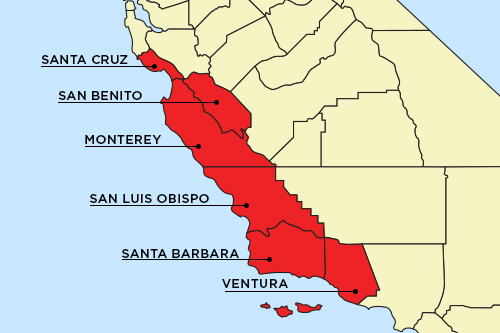 CALIFORNIA - As the FDA continues its investigation into the source of the recent romaine E. coli scare, the organization is now targeting its efforts on six specific California ag counties: Monterey, San Benito, San Luis Obispo, Santa Barbara, Santa Cruz, and Ventura. The FDA also noted that additional counties may join the list as the investigation continues. Further, there is still no confirmed source for the E. coli outbreak. “We have had boots on the ground collecting environmental, soil, and water samples for laboratory analysis to identify whether they contain E. coli since last week. 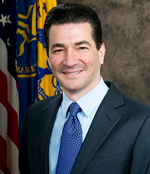 Should positive samples be identified, we will update the public promptly,” FDA Commissioner Scott Gottlieb, M.D. said in a tweet dated November 28. The FDA did note in a release that it was still in the “preliminary” stages of its traceback information gathering process, but “current evidence” indicates this romaine was harvested in the Central Coast growing regions of northern and central California. There is currently no recommendation for consumers or retailers to avoid romaine lettuce from outside the previously listed counties. Romaine lettuce harvested from areas that include, but are not limited to, the desert growing region near Yuma, the California desert growing region near Imperial County and Riverside County, the state of Florida, and Mexico, does not appear to be related to the current outbreak. Additionally, there is no evidence hydroponically- and greenhouse-grown romaine is related to the current outbreak. The FDA also noted that it will be moving forward with its previously announced voluntary labeling agreement with suppliers. Romaine lettuce entering the market will now be labeled with a harvest location and a harvest date or labeled as being hydroponically- or greenhouse-grown. As the produce industry continues to lie in wait for the FDA to unearth the source of the E. coli, AndNowUKnow will provide you with the latest updates available.